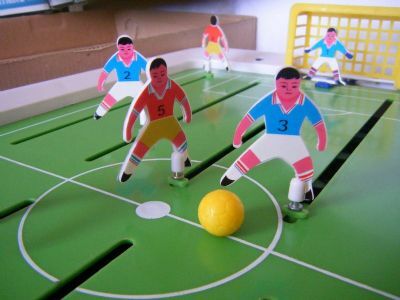 A classic football rod and lever game with the added twist of sound effects. 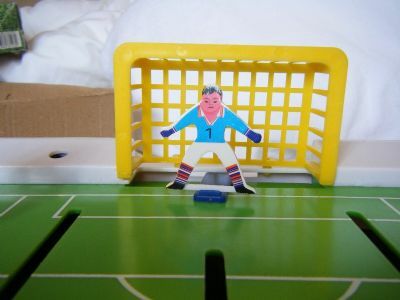 A chip in the game plays 'Ole, Ole we are the fans' over and over - very annoying with its tinny sound. The guy on the right appears to have a little sunburn. 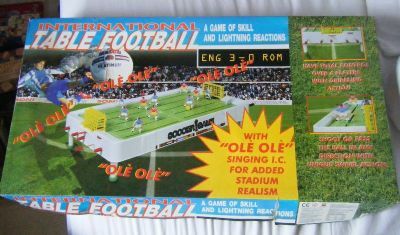 All action football design plus a starburst proclaiming singing sound effects! 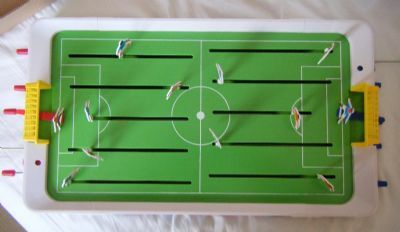 Six a side football with rods and levers to move the players. 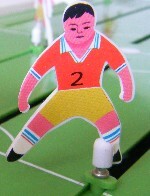 The players have a distinctly oriental look (and very pink skin). The levers when spun can generate very powerful shots. Not the largest goals ever, nil - nil draws are quite common. How can anyone resist a game with singing I.C.